BITO-Lagertechnik Bittmann GmbH stands for innovative storage technology. As one of the few single service providers in its field, the company supplies shelving, container, picking and transportation systems for all industries. You want to be sure that your goods are protected to the greatest possible extent during intralogistical transport, and make all working processes go as smoothly as possible. Only then can you be confident that the quality of your products is guaranteed and that their operation is as user-friendly as possible. The BITO range includes a wide variety of container systems for all applications and working conditions - from picking containers to stackable bins, small parts and multi-purpose boxes, storage containers and trays for automated warehouses. Robust, ergonomically sophisticated, available in a range of versions or built to your individual standards, BITO containers guarantee maximum protection and visibility as well as simple, cost-conscious and environmentally friendly handling. BITO bins & containers for automated storage meet every requirement for automated logistical processes to run precisely and without disruption. If needed, the storage container can also be delivered in batches of subdivisible variants. The BITO KLT picking container for automated small parts storage installations is BITO’s most stable and robust box, designed for particularly heavy loads. Its ergonomically shaped hand grips mean it is also ideal for manual handling. 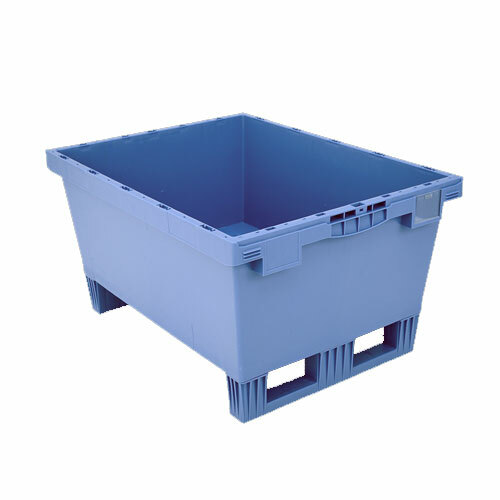 The BITO MB is a stackable and therefore very stable tapered multi-purpose container, also designed for use in automated warehouses and shuttle facilities. Stacking these multi-purpose containers inside one another reduces the storage space required for the empty boxes - and therefore storage and shipping costs as well - by up to 75 percent! 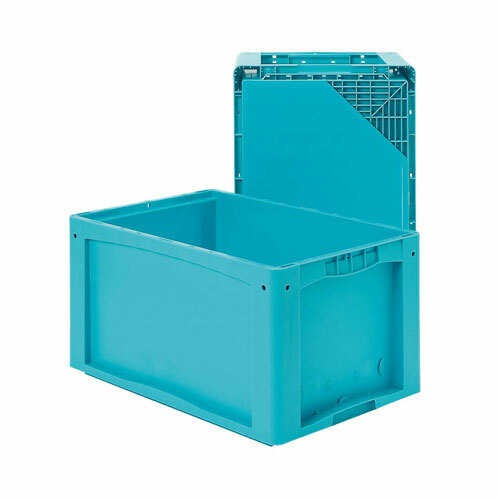 The bin is ideal for picking and also makes for the perfect storage and transport box. It is often used for high-value freight and in the medical sector. The BITO EQ folding box is a real innovation: it can be folded down to save exceptional amounts of space and is also easy to handle, highly robust, perfectly ergonomically designed, conveniently carried and also designed for use in automated warehouses. Already a recipient of multiple function and design awards! 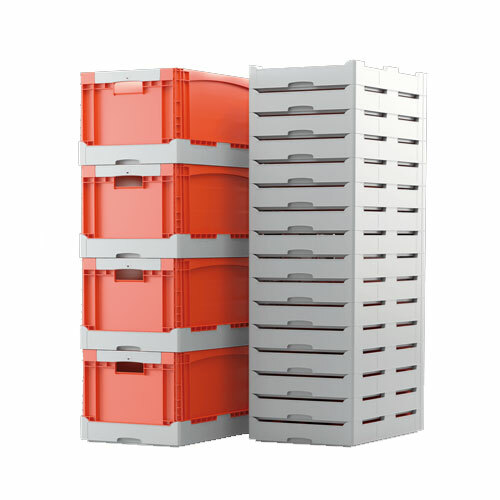 The BITO XL European size stacking container is BITO’s most multifaceted storage container series. A range of sizes allow you to store and transport your goods based on your exact needs. 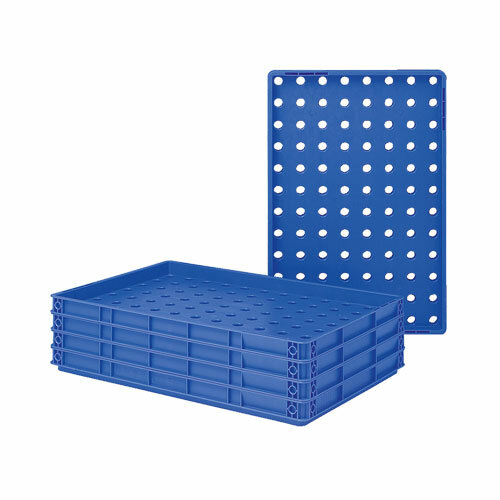 BITO trays to make transport easier accept loads in all shapes and sizes and carry them safely through automated plants. The BITO XLT 64 system tray has the same structure as BITO XL containers and its basic internal measurements match the dimensions of European-size stacking containers. 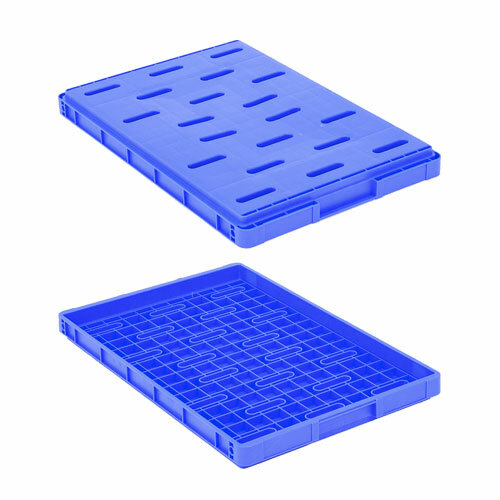 This means that the tray can be stacked together with European-size stacking containers and 600 x 400 mm bins can be placed on the tray without any issues. Smaller European module sizes up to 200 x 150 mm format can be securely fasted to the tray using fixing elements - so that nothing slides around. The BITO DT 640 distribution tray can accept European-size containers, cardboard boxes and other packages up to 600 x 400 mm format. Even smaller-sized items can be safely transported once secured using fixing elements. The smooth external base makes the tray excellent for carrying and particularly quiet when moved. The reinforcing ribs are on the inner side of the base. Lift aid openings allow goods to be automatically removed from the tray. When moving cardboard boxes or unusually sized containers through automated logistics systems, it is necessary to use trays with custom dimensions or properties. BITO project trays are made to your specifications, to allow you to safely and smoothly carry even unusually sized goods. BITO nesting & folding containers reduce the space required to store empty containers by up to 75 per cent, saving not just space but also costs. 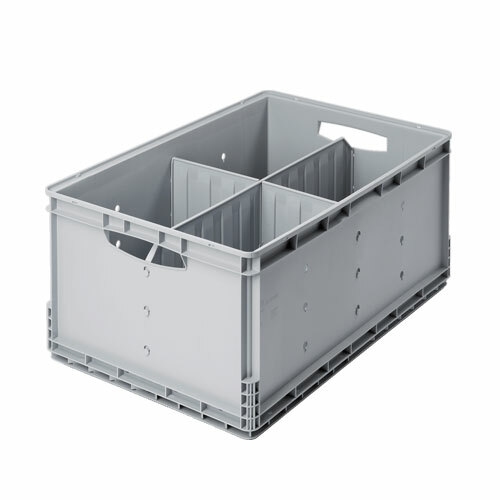 The BITO MB is a stackable, highly stable tapered multi-purpose container, also designed for use in automated warehouses and shuttle facilities. Stacking these multi-purpose containers inside one another reduces the storage space required for empty boxes - and therefore storage and shipping costs as well - by up to 75 per cent! This multi-purpose bin is ideal for picking and also makes for the perfect storage and transport box. It is often used for high-value freight and in the medical sector. The BITO EQ folding box is a real innovation: it can be folded down to save exceptional amounts of space and is also easy to handle, highly robust, perfectly ergonomically designed and conveniently carried. 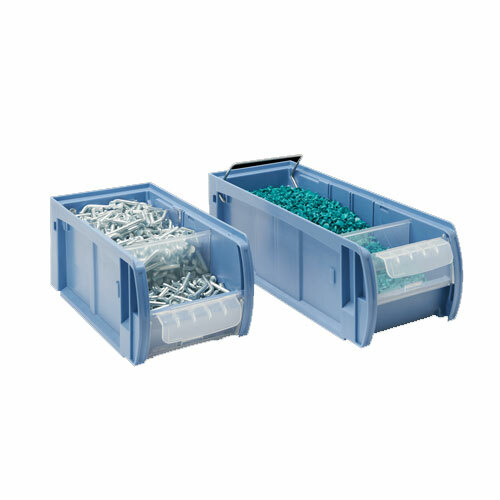 BITO small item storage containers help to store and organise small goods and C-items and make them available for your working processes. Small items are at their most visible in BITO SK storage bins. 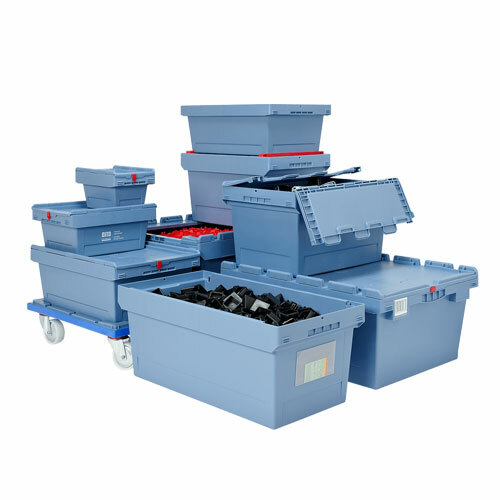 SK containers are the ideal sorting bins for supplying a wide range of small items for use in working processes. To enable ergonomic item retrieval, the storage bins have an opening at the front that can be closed using a transparent sliding window. 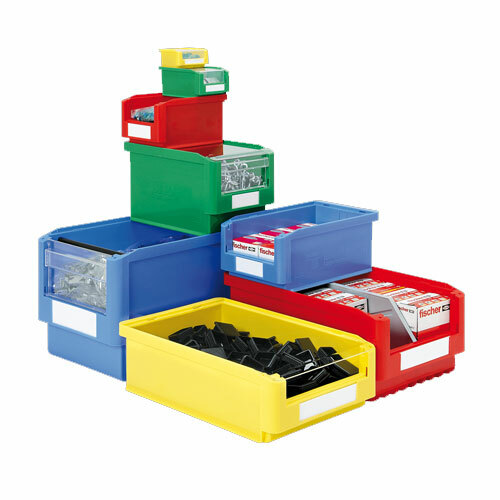 BITO RK storage and handling bins are designed to perfectly fit cabinet shelving systems. The sizes and dimensions of these stackable containers are designed to exactly match the dimensions of cabinet shelves. The available space is used as efficiently as possible, while containers remain secure without sliding around. 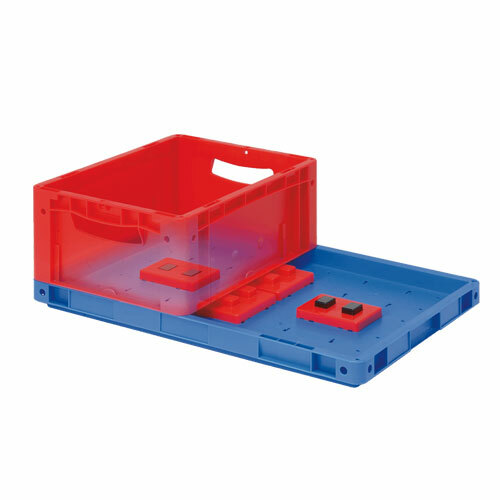 These robust boxes can be optionally fitted with back-and-forth and cross-dividers to store a wide range of articles while keeping them clearly visible. 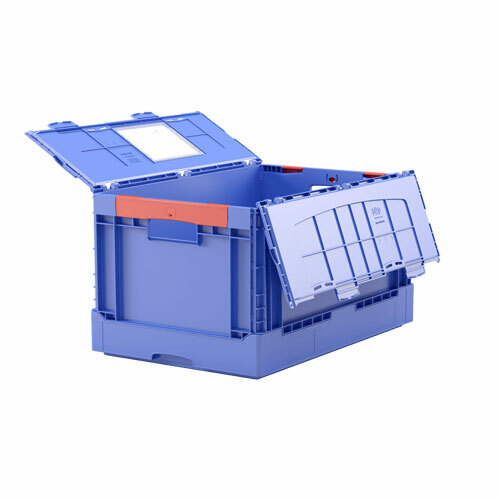 The BITO CTB C-item container represents the unique optimised combination of BITO SK bins for visible storage and BITO RK bins for shelf storage. It is extremely stable, applicable to a wide range of purposes and fits cabinet shelf dimensions perfectly. The newly designed front window made of transparent polypropylene can be easily slid down to open without having to move the container itself or remove anything from it. You can directly access the items inside. BITO's large volume containers are an outstanding alternative to mesh box pallets: at half the size and many times lighter, they are both highly stable and resilient. 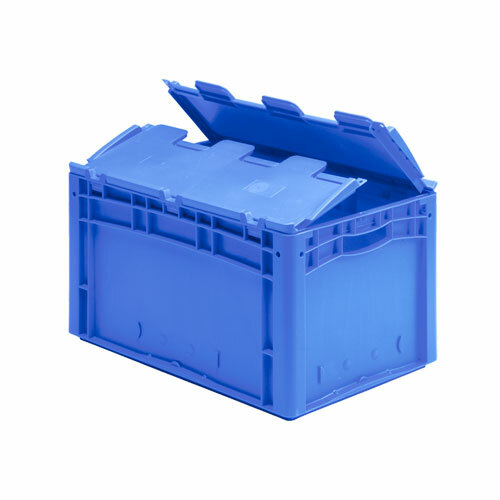 The BITO SL 86 large volume container is outstanding in all areas of application: this large-size bin is ideal for storing large or heavy goods during fabrication, storage or picking. The box can hold a weight of up to 500 kg. Unique and only available from BITO: the box-width, sealable half-drop door! It offers maximum access to the goods inside. A specially developed colour concept makes it easy to identify these large volume containers and their contents. The BITO XL 800x600 large volume container steps up the BITO XL series to an 800 x 600 mm format designed to hold contents weighing up to 200 kg. The basic structure matches the rest of the XL series. 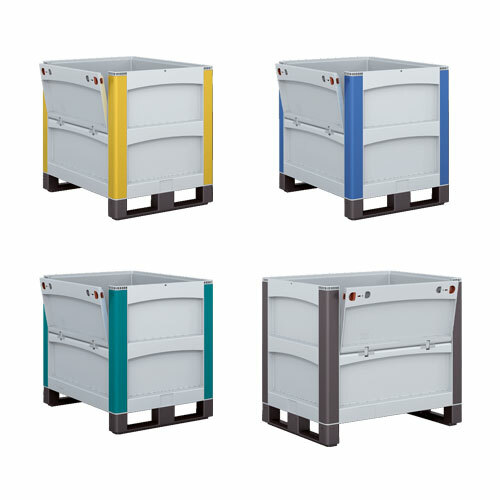 This large volume container can be optionally mounted with runners for forklift or lift truck transport, turning it into a light, modern handling bin. The BITO MB 800x600 complements the rest of the stackable multi-purpose series of BITO MB containers in a large-format 800 x 600 mm version. The container can be optionally mounted with runners, making it compatible with forklift and lift trucks. Even with runners added, this large volume container’s tapering design is preserved, allowing you to stack it to save space. The smooth inner and outer walls prevent dirt build up and are easy to keep clean. Whether you have to handle non-palletised loads, cartons, bins, lever arch files or products without packaging – for your operational productivity it is important that your products are safely stored and can be immediately located and accessed to make product picking as easy as possible. BITO storage solutions for unit loads include shelving, multi-tier installations, mezzanines, carton live storage facilities and automated storage systems. They have been designed for use with small, large, light weight and heavy weight loads as well as bulky and long goods and are manufactured with state-of-the-art technology which guarantees a consistently high product quality. Whatever your requirements, organisational structure or features of your premises are – at BITO, we have the products, know-how and experience to work out the best storage solution for your warehouse or workshop. Our aim is to optimise your intralogistical processes to save you space, time and money. Exceptionally adaptable, highly flexible warehouse fixtures: BITO shelving installations are designed to high quality standards and are suitable for storing any items imaginable. Their height and length can be adjusted to fit perfectly into any room, and they are easy to assemble and rebuild. They can be easily expanded later on and are ideal for storing and picking loose items and any units and packages not stored on pallets. A shelving rack for the industrial sector needs to meed a number of different requirements. BITO shelving installations are designed to be expanded and adjusted to meet each customer’s individual desires and needs. BITO high bay shelving lets you make full use of vertical space, while lower shelving variants make it easy to access goods even without ladders. Tall or heavy loads, large items, small packages or BITO containers - whatever the size or weight of the goods you store, our shelves are available in widths and load capacities to match. BITO shelving installations for the industrial sector are available in a number of different types: Type EL (extra light), Type L (light), Type M (medium), Type S (heavy) and Type Large-Scale Shelving. The shelf capacity varies by category (100 - 350 kg), as does the racking run carrying capacity (800 - 1600 kg). BITO shelving makes for ideal supply shelving. It can be restocked from both sides following the first-in, first-out principle (FIFO), making it well suited for supplying items to assembly points. The shelves can be conveniently supplied from one side while components required for the assembly and finishing process are quickly and easily retrieved from the other side. 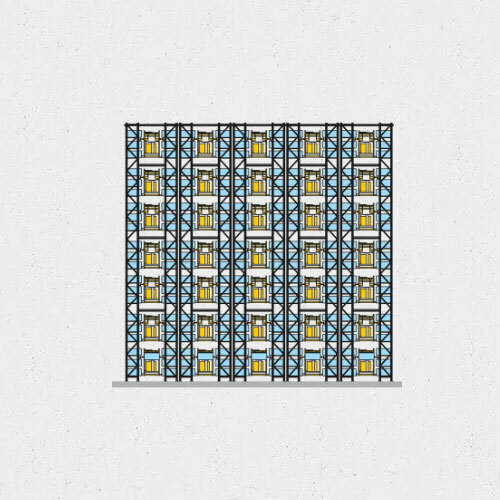 The shelving system enables clearly visible, well-structured supply of parts and goods and also provides sufficient space for a surplus reserve. Supply shelving is available in a single deep version (for one container) or a double deep version (for two containers). It is also available with straight or inclined shelves. The inclined versions are particularly well suited for clear presentation of items and swift, ergonomic retrieval of goods. BITO shelving is the ideal solution for space-efficient archiving of files and folders, even for long periods of time. Customised to suit the file folder size, the shelves are available in a single deep version (suitable for one row of folders per shelf) and a double deep variant (for two rows of folders per shelf) - available in a galvanised or light grey (RAL 7035) version, depending on your preferred colour. The integrated rear retaining lip prevents files from sliding off the shelves. A side safety barrier, available separately, prevents folders from falling off the sides of the shelves. BITO multi-tier installations mean cost-effective storage. The multi-tier shelving installations are designed to make full use of the vertical space in your warehouse, multiplying available space within the same surface area. The wide range of designs and corresponding accessories means that the multi-tier installations are suitable for use in any industry. Multi-tier installations are available in a number of different designs: as a single-tier version with a mezzanine on top, or as a multi-tier construction. Stairs and/or lifts connect the walkways/aisles on different tiers. Positioning the shelving tiers one over another at different levels reduces travel distances for employees, allowing you to complete jobs more quickly. In comparison with a single-tier design, a second layer of shelving increases the effective area by up to 100 per cent, with the available storage space increasing correspondingly. This improves surface utilisation and cuts down on building occupancy costs. BITO offers two solutions for two-tier installations. You should choose solution 1 or solution 2 depending on which staircase arrangement is optimal for your warehouse. The degree of space usage, the storage volume (+ 86 per cent each) and the maximum number of shelves (+ 68 per cent) vary depending on the positioning of the staircase - for smaller racking installations, this is therefore of fundamental importance. 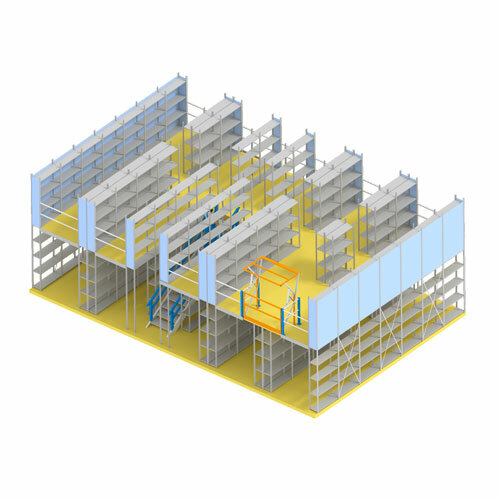 Multi-tier installations can be designed either as single tier shelving or racking with a mezzanine on top or as a multi-tier construction. Additional work areas can be created on the floor level as well as on the tiers on top. Our representatives will meet you on-site to discuss the optimal design for your needs. Depending on your unique working process and material flow, as well as your requirements and current conditions, we’ll show you precisely which advantages each system offers you and which design is best suited to your business. Together, we’ll then draft the perfect bespoke solution for you. The BITO mezzanine system is highly stable, flexible and available in a number of variants. This means it integrates well into many different warehouse designs. The installation’s multi-tier design lets you design each tier to meet a different set of requirements, making effective use of cost-intensive storage space. If you need to store heavy loads, you need to use a corresponding high-capacity, suitably designed shelving system. 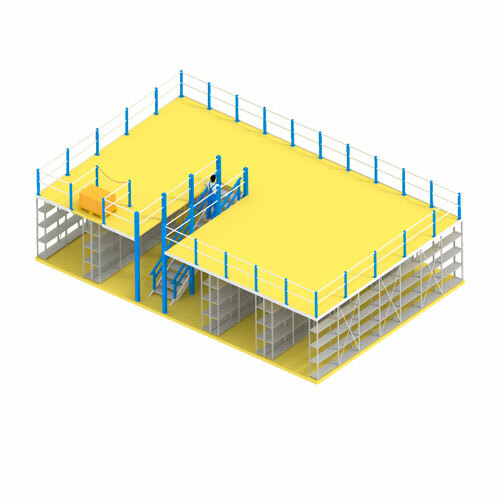 Thanks to an extremely stable self-supporting steel frame, the mezzanine system is ideally suited to storing heavy loads - for storing distributed loads up over 1,000 kg/m², given a suitably sturdy warehouse floor. Columns and joists form a rigid base structure which does not require cross bracing, permitting access from all sides. Mezzanine platforms/tiers can be adjusted at any required height. 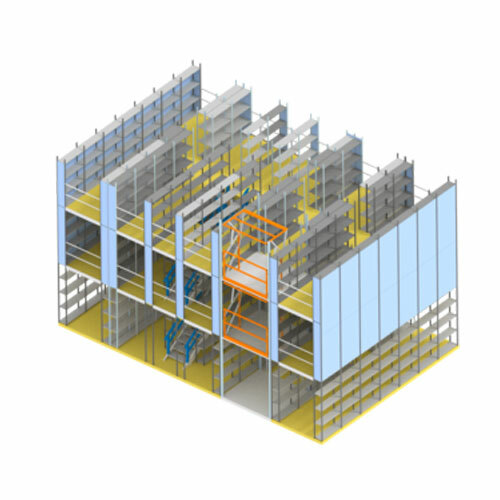 We work together with you to plan your mezzanine and adjust its construction and equipment to precisely meet your specific requirements. Modern logistics centres, which need to manage a consistently high volume of orders, need storage systems which ensure constant availability of all items. Automated small parts storage systems enable compact storage and fully automated supply of goods, allowing high picking rates for a large number of small items. The items are automatically moved along conveyors to the picker based on the goods-to-operator principle. Depending on your turnover rate and load carrier type, this system is available as a single- or multi-position system and in a single-, double- or multi-tier design. Items are stored and retrieved using service vehicles. The high-shelf design means that an automated small parts storage system requires a relatively small base surface area. 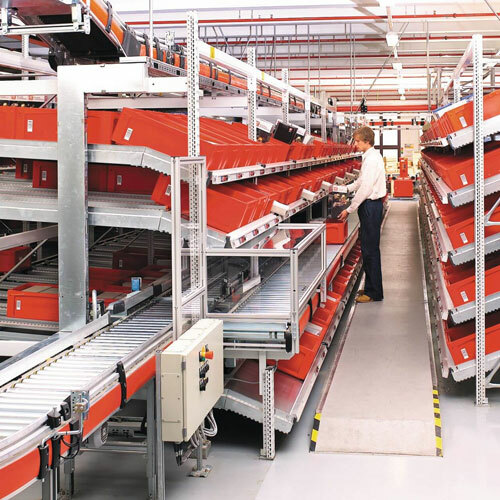 The state-of-the-art service vehicles move through exceptionally narrow lanes, which also increases the available storage area..
As a rule, automated small parts storage systems consist of a racking system with one or more lanes, a service vehicle, conveyors, small parts containers for storing and transporting goods, and the management software which ensures that the process remains organised and that individual items are always available. BITO adjusts the automated small parts storage system to exactly match your space requirements, the weight of your stored goods, the picking plan and your product turnover rate. To ensure maximum system safety, BITO racks are produced in strict compliance with the narrowest finishing and assembly tolerances possible. Single-position storage is the most common system solution. 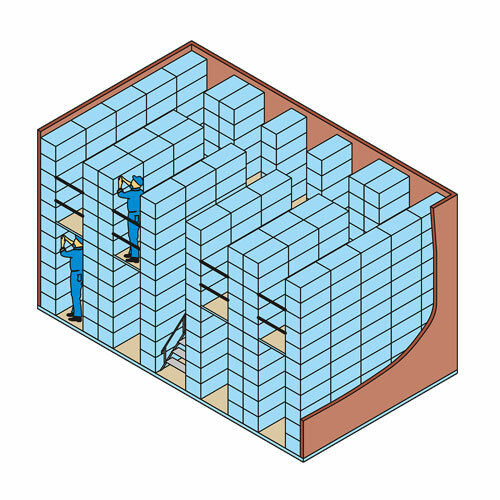 In this system, each shelf has one container, tray or box stored on support bars (single or double deep). 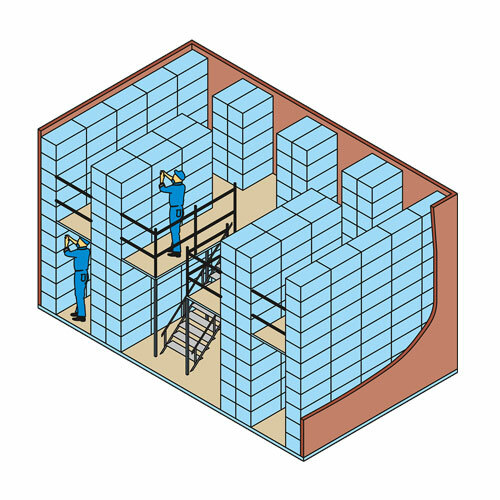 In this system, multiple containers or boxes are stored on each shelf single or double deep. Multi-position systems are often used for storage units of moderate individual weight. 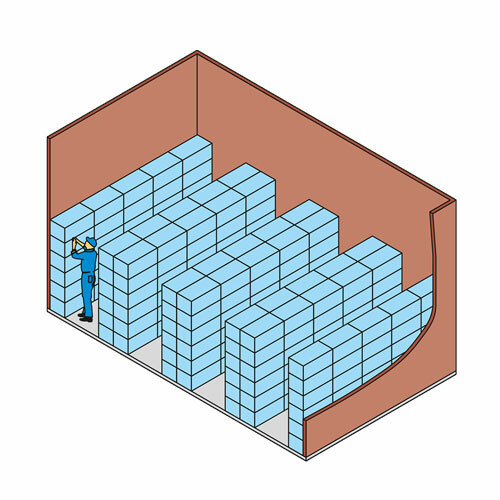 In automated small parts storage systems, materials are supplied on the bottom flow level. The buffer zone above ensures picking stations are constantly resupplied. The system can be designed as a single- or multi-position system depending on the weight and composition of the goods and the type of load carrier. Modern picking, distribution and consolidation warehouses are using shuttle systems more and more frequently. This high-tech, exceptionally dynamic solution allows you to multiply your goods turnover rate several times over. If multiple shuttles are used, the throughput rate increases correspondingly. Carton live storage racks supply goods on a FIFO basis. Picking works based on the operator-to-goods principle. The racks are loaded from the rear. The racks move along plastic rollers to the opposite side, where they can be retrieved as and when needed. In carton live storage racks, items are stored individually, in plastic containers or as a single packaged unit. Carton live storage racks are suitable for use as supply racks for finishing processes and as storage and picking racks. They can be used in a variety of situations and enable compact, clearly organised storage of goods. Reduced travel distances increase system efficiency; working times are reduced while picking performance is increased, and investment costs often pay off within a year. A highly sophisticated, ergonomic design reduces the physical stress placed on employees. Buffered carton live storage shelves are designed so that goods are supplied for picking on the bottom level, while pallet spaces on the top level offer additional storage space. The single positions are used as item buffers for individual flow shelf levels in order to keep travel distances as short as possible when replenishing stock. This also allows vertical space to be used in full. Automated or partly automated flow shelves enable particularly fast job throughput rates. Meanwhile, the picking error rate approaches zero and storage space is used optimally. BITO works only with carefully-chosen, well known fork lift truck manufacturers when designing the automated flow shelves. 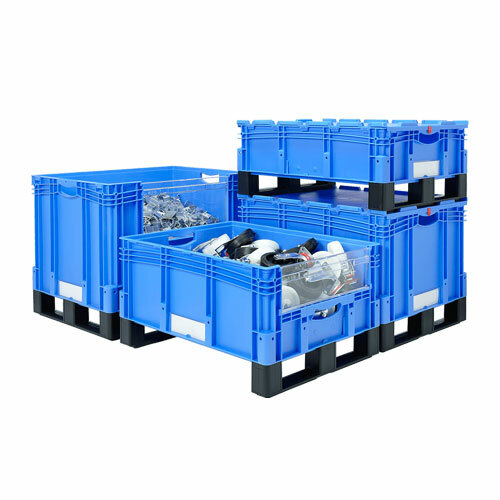 BITO offers a range of storage solutions for palletised goods. From classical pallet racking to pallet live storage, drive-in racking, automated pallet storage and shuttle-assisted storage, we offer a complete set of storage solutions to optimise pallet storage at your warehouses and picking locations according to your exact needs. We’ll help you choose the ideal system for your requirements, as well as handling project planning and supporting your project throughout the installation process and beyond. Classical pallet racking remains, as ever, the most popular storage system for palletised goods - despite the increasing use of modern technology in the storage and picking fields. The system allows convenient access to every pallet. 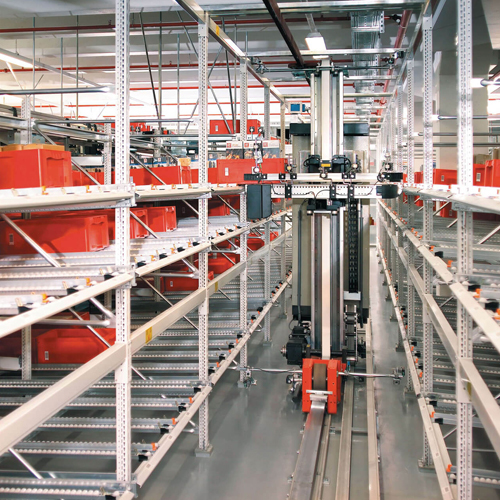 Moreover, the racking configuration can be easily modified and extended. Flexibility and relatively low investment costs have made this system essential for storage and order picking. With useful and practice-proven accessories, the BITO pallet racking system allows optimal storage of palletised loads in all shapes and sizes. The most common configuration is multi-position storage with 2 - 4 pallets per bay. If pallets are buffered or if complete pallet loads are to be handled, pallets are stored short side facing. For order picking, however, pallets are generally stored long side facing in order to facilitate access. 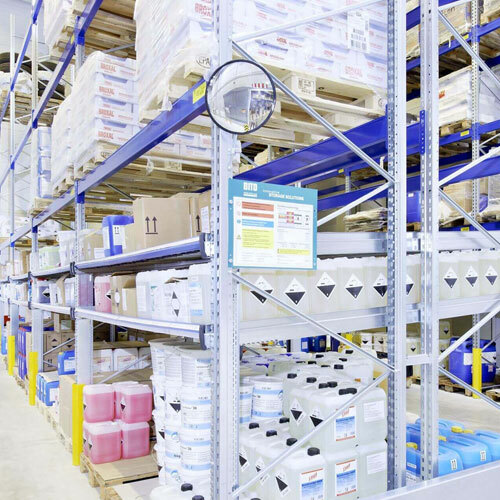 The pallet racking system is available in a range of versions, the most common of which are broad aisle racking, narrow aisle racking and mobile pallet racking. 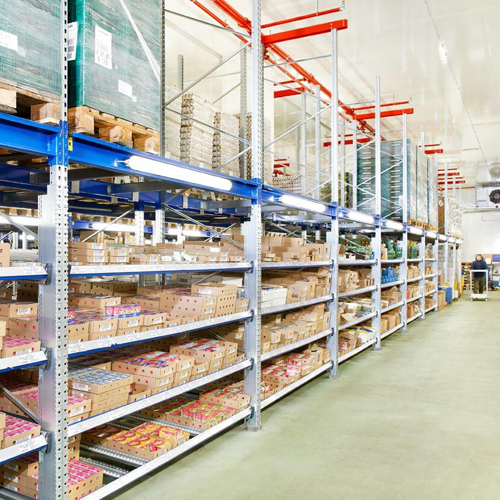 Broad aisle racking is the standard solution for pallet racking. In this design, servicing is generally done with front stackers, reach trucks or man-up stacker cranes. The aisle width is intended to suit fork lift truck dimensions. The floor level can be conveniently serviced with a hand pallet truck or an electric lift truck. 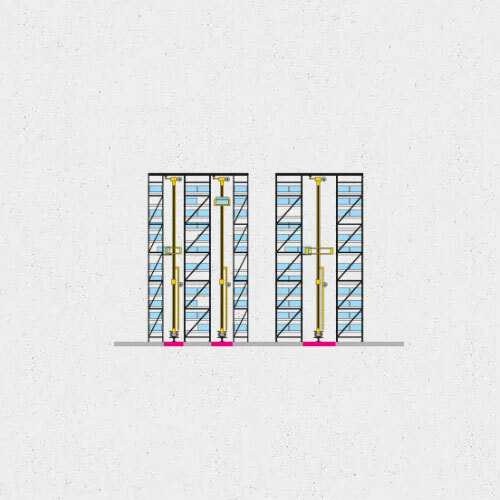 This high-rise structure with narrow aisles enables ideal use of vertical capacity and efficient use of floor space. 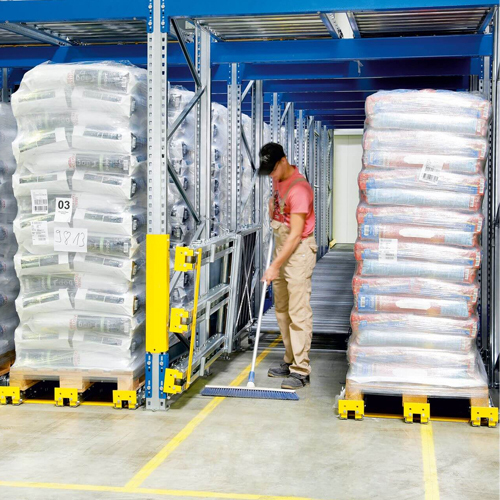 As a rule, narrow aisle facilities are serviced with man-operated stacker cranes or order picking trucks. This allows picking of smaller unit loads from all racking levels. Guide rails and inductive steering ensure that service vehicles always keep the ideal distance to the installation. 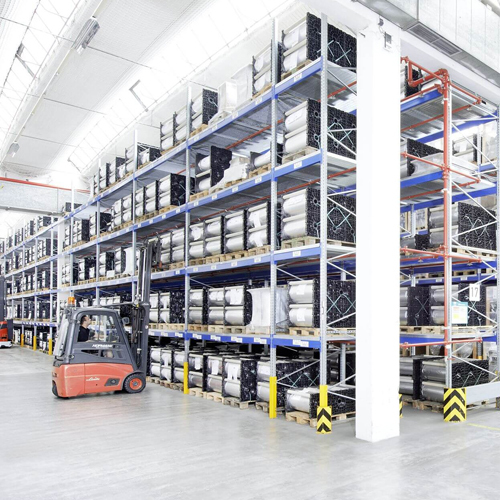 The use of mobile pallet racking reduces the need for costly floor space. 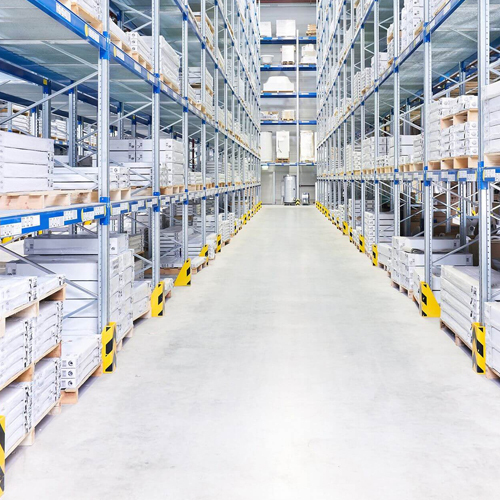 Thanks to the racks’ mobility, only one aisle needs to be open for picking at any one time; the rest of the space is filled as efficiently as possible with closely-packed racking runs. Each of the individual racking runs can be relocated, allowing access to all pallets at all times. Instead of one broad aisle wide enough for truck circulation, it is also possible to open several smaller aisles. Alongside classical palletised storage and retrieval, automated picking and the use of shuttle carriers are growing in importance. The higher initial investment costs pay off quickly thanks to significantly faster picking and order processing. 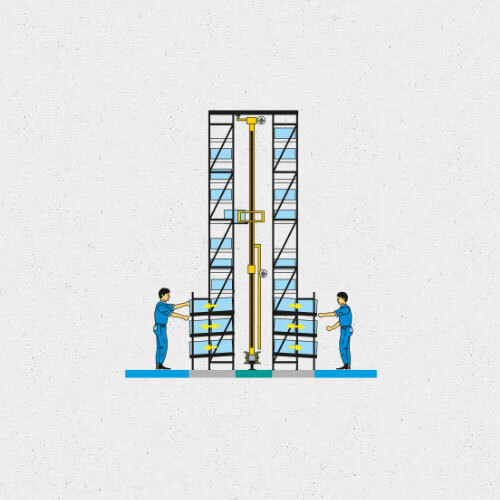 Multi-tier pallet racks allow multiple employees to pick goods at the same time to process significantly more orders. BITO pallet racking also works perfectly with other racking systems such as live storage. It can be combined into a broader system, adjusting perfectly to the logistical processes in your warehouse. Mobile pallet racking saves valuable warehouse space, offers high storage capacity and guarantees constant access to all stored items. The mobile pallet racking system BITO PROmobile is a wheeled pallet racking system. Each shelf in the pallet racking block is mounted on a mobile carriage operated by electric motors. The carriages move along rails embedded in the floor. The system is controlled directly using operating elements on the rack itself or using a convenient remote control system. It is also entirely possible to integrate the entire system, including the controls, into your existing warehouse management system. 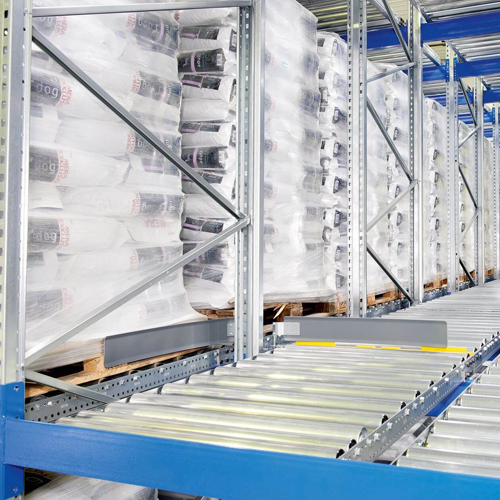 The use of mobile pallet racking systems reduces the need for costly floor space. 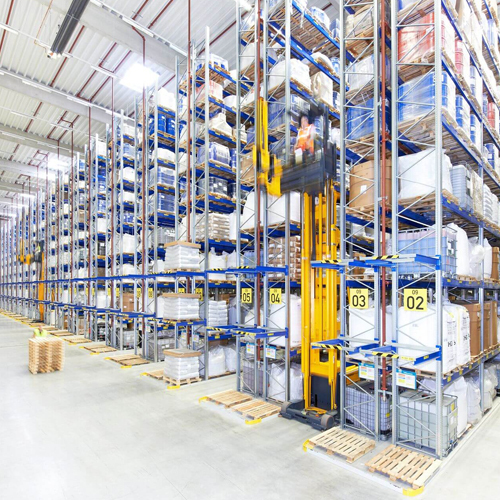 Thanks to the racks’ mobility, only one aisle needs to be open for picking at any one time; the rest of the space is filled as efficiently as possible with racking runs. Each of the individual pallet racks can be relocated, allowing access to all pallets at all times. Instead of one broad aisle wide enough for truck circulation, it is also possible to open several smaller aisles. A mobile pallet racking system can be directly integrated into a newly-built warehouse or fitted into an existing one. The BITO PROmobile synchro mobile pallet racking system is distinguished from the BITO PROmobile system by its permanent distance monitoring. This ensures that the carriages move perfectly parallel to one another at all times, even when shelves are carrying different weights or unbalanced loads. Rather than using traditional mechanical control, the system is electrically operated, ensuring that carriages stand and move parallel to one another. Aisle widths can therefore be planned down to a few millimetres and optimally divided. Automated pallet storage is the fast, cost-effective alternative to manual logistical processes and it is becoming increasingly relevant. Automated pallet storage systems are typically fully automated systems. However, they can also be realised as partially automated solutions. These are usually used as buffer or reserve storage systems. Implementing an automated system saves a great deal of time within a business’ logistical processes. Compared with a manual variant, automated systems produce clearly identifiable financial benefits, particularly when examining carton live storage, pallet live storage, and pallet racks. Automated solutions therefore represent a real alternative to manual ones. 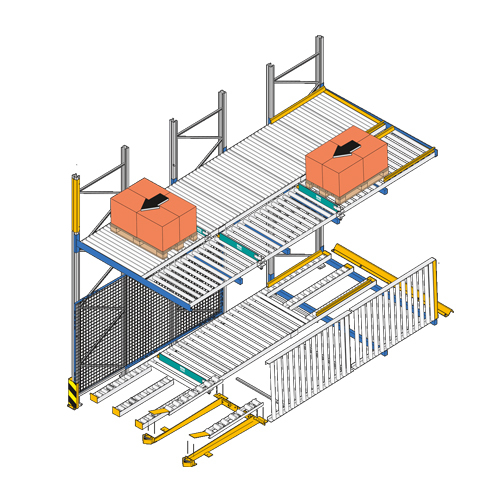 In an automated pallet live storage system, pallets are stored with the help of a carriage (see diagram) or a lift truck. Loading is done automatically by a mobile feeder system. The picker always has a second pallet available in reserve. As soon as this reserve pallet has moved to the picking face, the buffer storage position - now empty - is immediately replenished. To increase the available storage space, additional static storage zones above the aisles can be assigned carriages to make full use of vertical space. Alternatively, you can design the system with additional pallet live storage channels in mind, allowing you to store multiple pallets in a row. » On the picking face, you can either pick from individual storage units or retrieve entire pallets using hand pallet or fork lift trucks. » The roller conveyor section on the picking face is divided into three sections to allow you retrieve pallets using hand pallet or fork lift trucks. The space between the conveyors is fitted with drive-in plates, allowing the service vehicle to drive straight in. 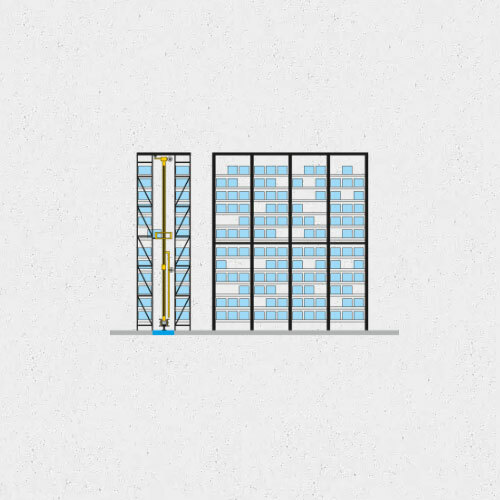 Choosing the right storage system can save your business significant time and expenses. Perfectly coordinated logistical processes therefore play a substantial role in your business’ success. BITO PROflow live pallet storage enables highly compact, clearly arranged warehousing. Process times are cut down and intralogistical flows become easier to calculate. This avoids downtime, increases warehouse productivity and reduces storage costs. A pallet live storage system eliminates the need for service aisles within the block, saving 60 percent more storage space than a standard pallet rack. Unlike block storage, pallet live storage also permits direct access to all stored items at all times. This guarantees high flexibility and reduces the time taken to pick goods. In the FiFo (first in, first out) principle, the first item stored is also the first to be retrieved. Each individual channel in a block is loaded with pallets from the loading side. Products are picked from the opposite side. A load separator on the picking side ensures that service vehicles can retrieve the pallets without having to compensate for lane pressure. This helps prevent damage to goods. In the LiFo (Last in, first out) principle, the last item stored is the first to be retrieved. Goods are both stocked and retrieved from the same side of the rack. The pallets are pushed into the live storage rack against the incline with the help of a service vehicle. This rack type is therefore known as push-back racking. 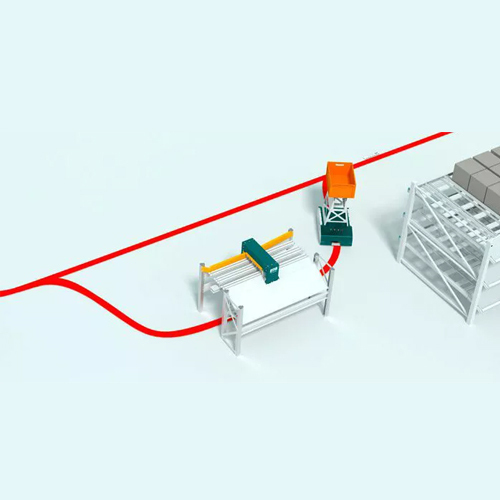 Unlike traditional load separators, the BITO Flow-Stop is located outside conveyor vehicles’ area of operation in order to prevent damage caused by collisions. Repair costs within your warehouse are therefore dramatically reduced. The separator also helps ensure that pallets are always correctly positioned and that the service vehicle can easily retrieve goods from the rack without having to compensate for lane pressure. The storage system is safer and more convenient to use; there is no need for repeated corrections to fully configure the load carrier. The live storage system’s roller conveyors are tiltable. This makes cleaning the floor under the rack fast and easy. This is particularly important for businesses supplying groceries or pharmaceuticals, for whom warehouse hygiene and cleanliness are the top priority. 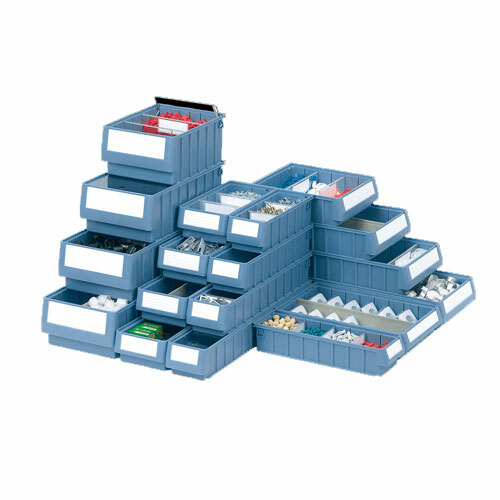 The BITO module system offers a wide range of options to help design your pallet live storage system. The high degree of standardisation enables versatile storage solutions and guarantees our ability to supply and assemble your system in the shortest possible time. You therefore benefit from a high degree of flexibility and a new storage solution which is ready to go quickly. 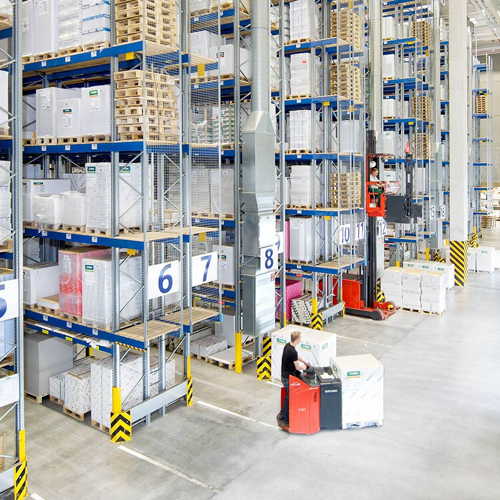 BITO drive-in racking enables highly compact storage of pallets in multiple horizontally and vertically arranged aisles. The vehicle drives into the aisle and places the pallets from back to front on storage rails running fully from one side of the rack to the other. This makes optimal use of surface area and storage space. Drive-in racking is particularly well suited for storing large volumes of the same item, for pressure-sensitive or unstable goods, for small- to medium-sized product ranges, and for low-turnover items. This racking system is also ideal for seasonal or buffer storage, and for storing products with a long shelf life. Goods are stored and retrieved using a service vehicle which drives into the aisle. Goods are always loaded and unloaded from the same side. Operating based on the LiFo (last in, first out) principle, the last pallet stored is then the first to be retrieved. This system should therefore only be used to store goods where direct access to specific pallets is not required. Compared with BITO drive-in racking, BITO drive-through racking has all of the same benefits - but it can also be used from both sides: goods are stored on one side and retrieved from the other. Operating on the FiFo (first in, first out) principle, the first load stored is therefore also the first to be retrieved. BITO PROmotion is a battery-powered pallet conveyor system for lane-based storage (using lithium-ion batteries) It is ideal for all types of pallets - including low-quality ones. With the help of a conventional fork lift, the shuttle moves from one storage lane to another. Using a robust remote control system, it can independently transport stored goods through the lane. A fork lift is also used to load and unload pallets. 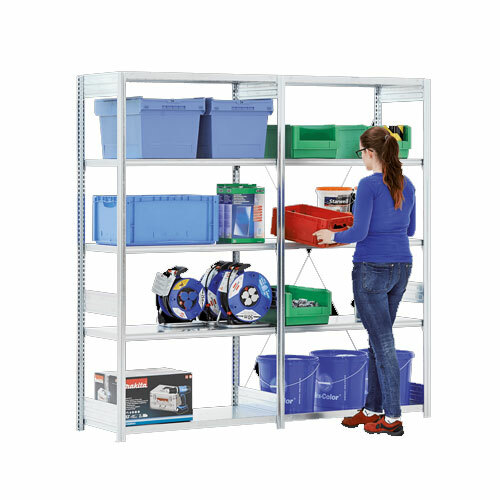 The shuttle-based compact storage system is the alternative to drive-in racks, push-back racks and pallet live storage. It can be operated based either on the FiFo (first in, first out) or LiFo (last in, first out) principle. It is ideal for all industries and can even be used in cold storage areas. BITO PROmotion can carry pallet weights of up to 1,500 kg. Maximum safety: Working together with the mutual indemnity association BGHW Mannheim, specialist safety technology has been developed and implemented for this system. Driverless transport systems (DTS) guarantee rapid material transportation and reduce travel distances. They are therefore becoming more and more popular among manufacturing companies. BITO-Lagertechnik Bittmann GmbH has developed one such driverless transport system: LEO Locative. This user-friendly automated system is quickly installed, after which it is immediately ready to start running. LEO Locative follows an optical path laid down by floor markings, making sure never to block aisles or gangways. It can carry containers and cartons weighing up to 20 kg. A versatile, incredibly user friendly driverless transport system with a straightforward installation process and control system. To store long, bulky items, you need specialist storage solutions customised to suit the size and weight of your stored goods. Storage systems for long loads such as pipes and profiles, flat items such as wood and steel panels, or bulky goods, must therefore be individually custom-made, tailored not just to the goods stored but also the storage space available to you. This flexible racking system lets you store long items such as profiles and piping, as well as flat items such as wood and steel plates and other bulky construction components. The rack consists of columns and cantilever arms and can be configured for either single or double sided use. Depending on the chosen coating, the racks can be used indoors (plastic-coated or painted) or outdoors (hot-dip galvanised). BITO customises the dimensions of each individual component. Depending on the size and weight of the goods stored, and the available space, we design the system to meet your exact needs and integrate it into your existing warehouse and logistical operations. We offer a broad range of uprights and cantilever arm profiles with numerous material strengths and designs. 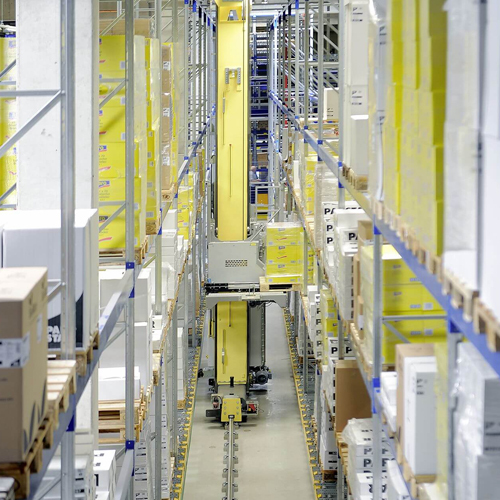 Depending on the height and weight of the goods stored, we offer three different options: cantilever racking for light (type L), medium (type S) and extra-heavy (ES) loads. By combining these types with the right accessories, we can meet your specific needs and desires. 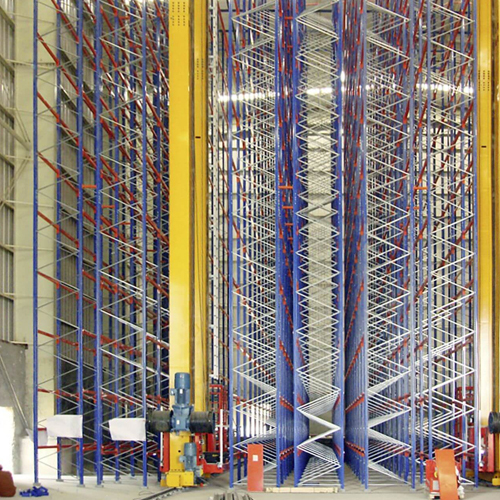 Our products, and the professionally planned customised racking systems for long loads, are based initially on your unique data (warehouse size and equipment, existing foundation, type of goods stored). The light to medium load variant of the cantilever racking system consists of uprights with cantilever arms, adjustable in intervals of 60 mm without the need for bolts. Cantilever arms and shelves are easily assembled and adjusted, as they do not need any bolts or screws. 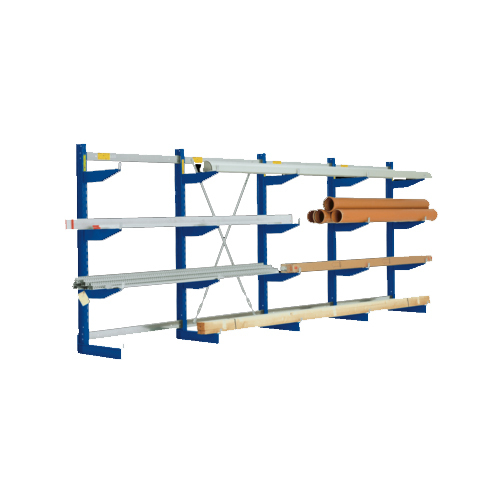 The racking system can be expanded as required and can be configured for single or double sided use. Item weight permitting, goods can be stored and picked by hand. However, the system is also compatible with all modern service vehicles. The system is also ideal for automated use. Cantilever racking for extra-heavy goods is assembled and adjusted with screws. Cantilever arms and shelves are height adjustable in 50 mm or 100 mm increments. The uprights and cantilever arms consist of solid hot-rolled IPE steel profiles, making them particularly robust and resilient. They can be configured for single or double sided use. 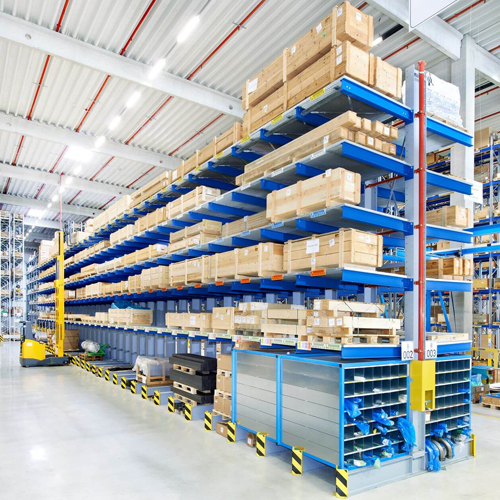 Cantilever racking for extra-heavy goods should only be used in combination with lift trucks or a crane, depending on its height and the goods stored.